Digital printed Banners are made for both indoor and outdoor. Grab attention with Full Color Graphics! If you are opening a retail store you need the right sign for the best price. All types of signs from lighted to non lighted. Postcards, envelopes, letter head, and much more! All types of designs for all your printing needs. Trade show displays that are effective and POP. New displays and looks that stand out above the rest. We can design your online shop. Everyone should have one. Very affordable prices. Promote your business 24/7 with rear window decals.We have vinyl and see thru window film that get attention. Construction signs are a great way to show off your talents. We provide all types of sizes and materials to fit any budget. Do you use that same label or sticker over and over? We have them all on a roll for easy access. Freestanding signs supported by posts or a single pylon that allow the sign to reach a height that can be seen at great distance. Sometimes also referred to as highway signs or roadside signs. A glass tube that has been bent into a series of letters or an image, which is filled with neon gas which glows when charged with an electric current. The glass tubes of neon signs are still largely shaped by hand by neon glass tube artists. ​Letters that are taller than the surface of the sign to create dimension, sometimes using flat cutout letters made of plastic or metal. 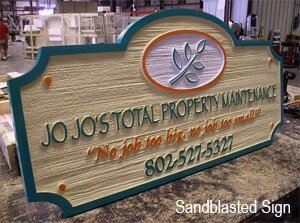 Yard signs are the easy way to market any item or business. We offer them in one color all the way to Full Color. 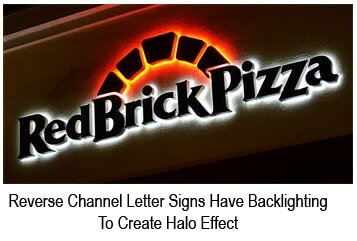 There is not a faster concept in the industry other than LED Signs. We are experts in this field. We custom build Electronic Displays. Let us design your logo. We work with you until we get exactly the right look for your brand. Pylons are customized to fit your business. Stand out above the rest. Turn that plain wall into a masterpiece. Colorful graphics that have a powerful impact. Vinyl lettering for any vehicle. Plastic 3D letters can bring your business to Life! Freestanding signs close to the ground, usually as a single rectangular block of substantial width, sometimes on a pedestal. Monument signs are often made of stone, brick, or metal. The letters are carved out of the surface of the sign, or alternatively, the surface is cut away from the letters leaving them raised from the surface.